Well guys, I'm selling my LMM tomorrow morning. Found a guy who is going to give me a good price, and he'll really enjoy it. After it's gone, I'm going to look for a low mile LBZ or '06 LLY... basically the same as what I got, just older body style. People think i'm crazy, but I just never fell in love with the truck. Kinda rushed into buying it, and after I got it had a few problems that i've never really got over mentally. 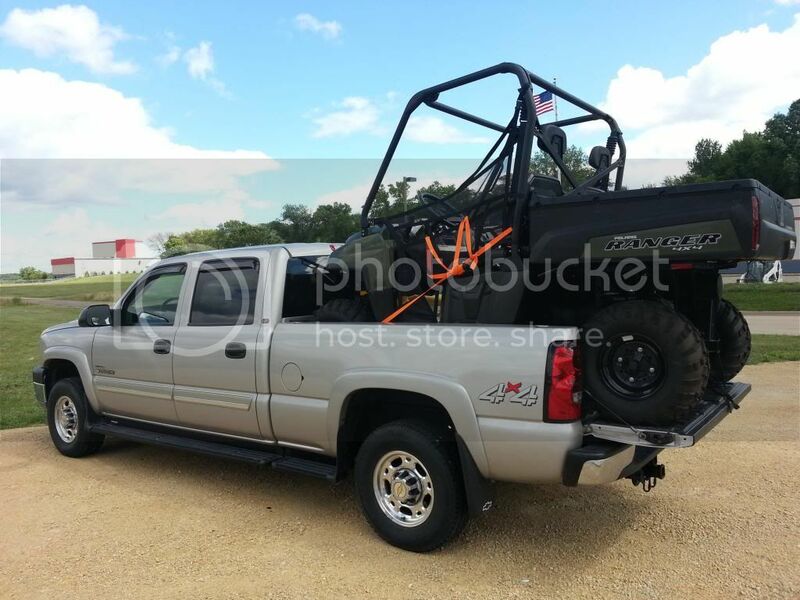 there are about 3-4 LBZ's for sale over on the DF. I'm looking everywhere... found one that's a real contender, but it's in Connecticut, and I'm in Washington state LOL. That's about as far from here as you can get. However, I found a guy on DF that lives just a few mins from there and he's going to try to go look at it for me this weekend. Little worried about rust from road salt, so he's going to check it out. Has CEL on too, so will need to know what that's about. I had to lose mine back in 2010 due to "family expansion". I know how you feel. but you're getting back into another Duramax, I got stuck with an 04 Yukon... go Hawks! Yep, wife and I are getting real close to starting construction on our new house (and shop!) soon, so lowering the payment is a good idea too. I just turned 108 on mine and still love it. Runs like a,,,,,,,,,,,,,,,,,,,,,,,,,,,,, with a 100hp tune. Look for an LLY, a little cheaper probably never pushed hard and is the same as a LBZ cept the tune. An 06 LLY would be perfect... though I wouldn't shy away from an untuned LBZ either. And yes, Seattle is actually now going to fine people for throwing away uneaten food... no joke. Here's my LMM... for another day anyway. 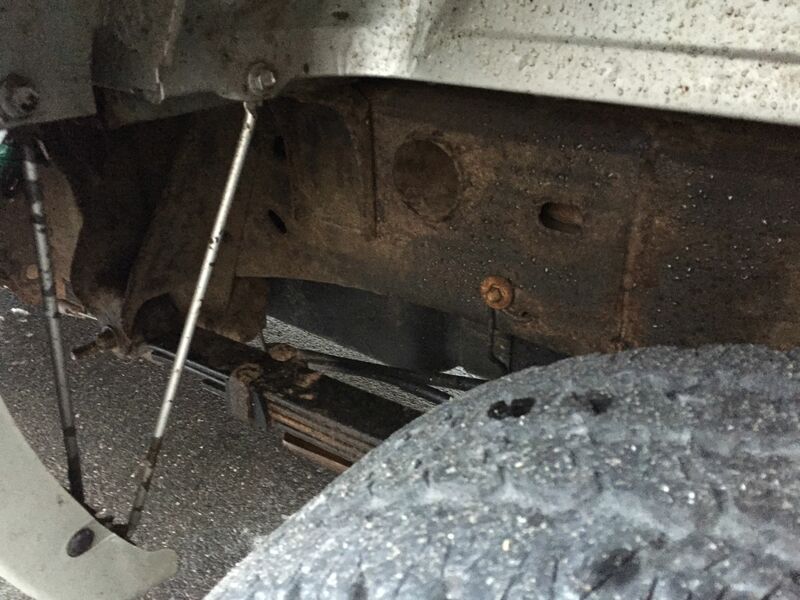 Ok guys... talked to the guys at the lot with the truck in CT... was worried about rust, and he sent some pics. 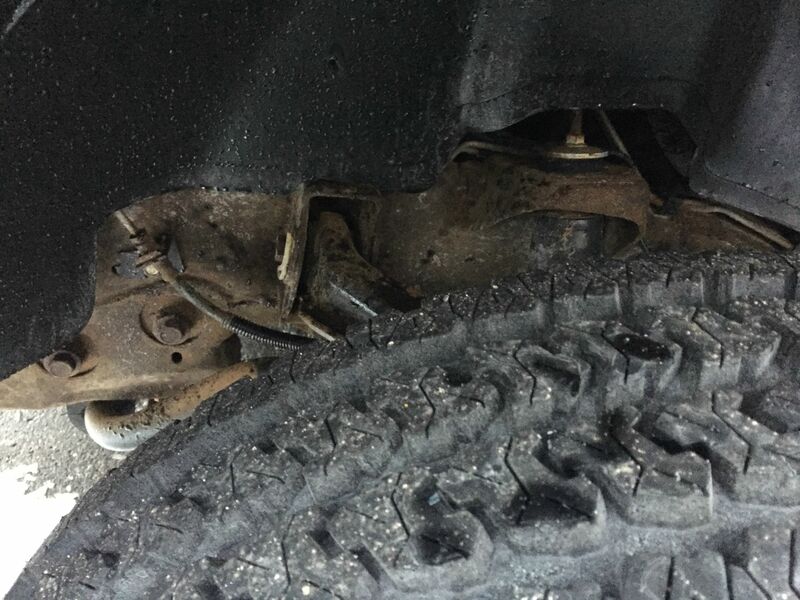 Haven't ever had to deal with under-body rust, does this look as bad as it, well, looks? Shoot me straight, ain't gonna hurt my feelings. To me, looks like a NO GO. 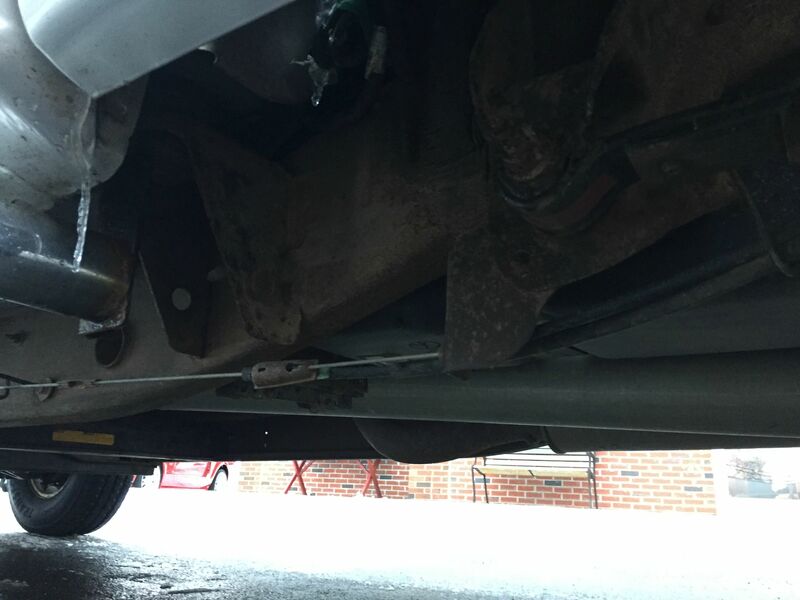 Dealer said "has minor surface rust"... looks to be a little more than minor to me. Looks like usual surface rust - normal for a snow/salt climate vehicle. Certainly doesn't look troublesome to me, but I'm not buying it and I always look over in person before I purchase, and jab around with a pick and screwdriver underneath while inspecting. That doesn't look bad to me. Little elbow grease, and frame restorer and you'll never know it was there. I heard about the "composting" law yesterday, sounds nuts. Actually worse than here but wetter. Well that doesn't look too bad to me. I understand y'alls concerns with the rust but that one looks quite manageable or even ok.
Kyle go have a look at my glow plug replacement in the DIY. I have no concerns with mine which I can put hands and eyes on. I'm at the end of 200 miles of crushed black shale (read arrowheads). It has beat the living heck out of my whole undercarriage. I have no issues on the panels, they are rust free, and have grown to live with the surface rusting on the rest. I would suspect a reasonably sime cleanup for you. The little paint chips, well that would come down to how perfect you are after. Hey thanks for the responses guys, really appreciate it... Never had to deal with rust so nice to get some perspective from those who had Sold my LMM this morning. Bitter sweet, but ive always wanted an 06 lly - 07 lbz GMC. Will keep you updated on the search, and thanks for letting me bump questions off you. There may be more! Man, your LMM looked nicer than my LML! Good luck Kyle...they're out there. I have a customer that travelled to Florida for one truck and Colorado for the second one (both LBZs w/under 100k on my recommendation). His employees took out the 2 perfect ones that he had in fatalities/insurance "confiscation". Around the Midwest to east where a lot of road salt is used trucks generally are all rusted up underneath. I take extra caution and a lot of maintenance like washing the frame after driving in snow to keep the corrosion at bay. Find a western truck and drive if you have to, to fetch it. 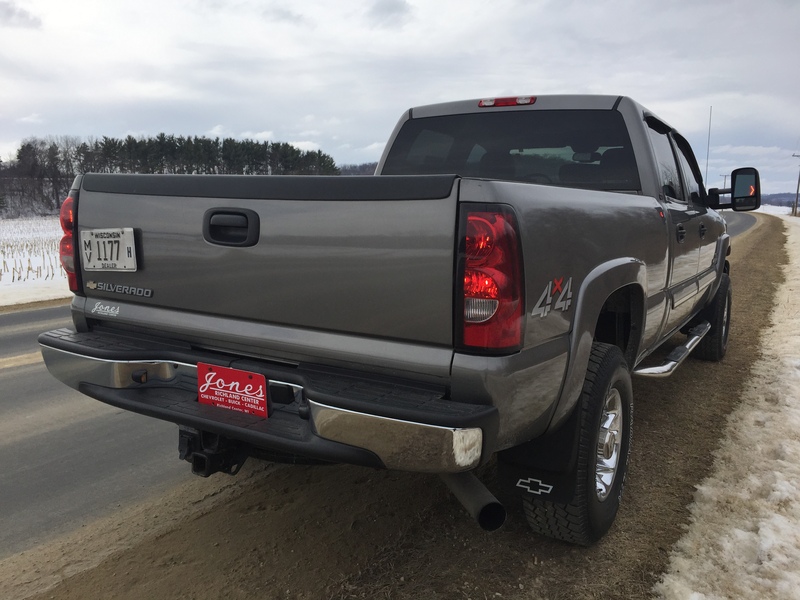 Looking for a Silver or Gray 06/07 GMC 2500HD CCSB with dark charcoal leather, that's stock, and has under 100k is going to be quite the challenge! But I'm ready! Wish me luck. Next truck i want to keep for a long long time, so I'm being patient (and picky!). Something like this suit your fancy kyle? Been scouring the internet pretty hard over the last few days... found a couple I'm following up on. I did find one in Wisconsin. Supposedly a 1-owner local trade. Has a company rig that he drove too, so this one never saw the snow. Trying to see how much room they have on price. Obviously the brush guard would hit Craigslist Day 1 in my driveway, and wheels shortly after. But we'll see where this goes. Looks real clean. Does have a gooseneck ball, mildly concerned about that... although if it hasn't been tuned or lifted, prob wouldn't mind too much. These trucks were built to haul, after all. Thats got the lt3 pkg on it. (Sunroof, leather and the 3 setting buttons on the over head console) I wouldnt worry about the gooseneck hitch, those came with the lt3 pkg as well. now the price, way more than what its worth. 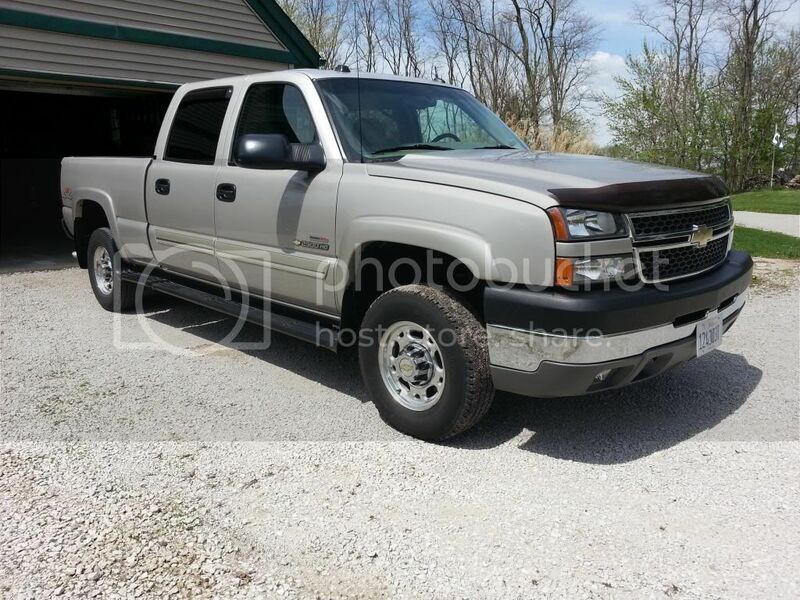 Kbb for that truck in mint condition is like $27k and thats stretching it. 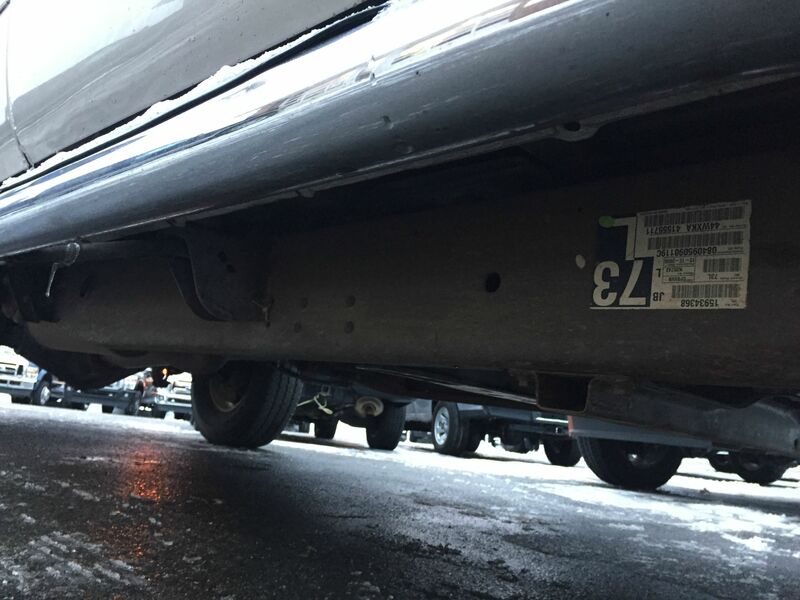 Being a guy that grew up in WI, I would be really concerned with the salt corrosion around the rocker panel area and the fender area. 28.5 is the average of KBB and Nada. These are really hard to find with low miles and they know it. Talked to them today and they came down to 30 but that's it. Yeah, the rust concern is there for me too. They're going to take underbody pics tomorrow. There is nothing close to what I'm looking for near me. There IS a truck exactly like this close, but has 150k miles... Just too many given how long I want to keep this next truck. 200K on that one Nate! 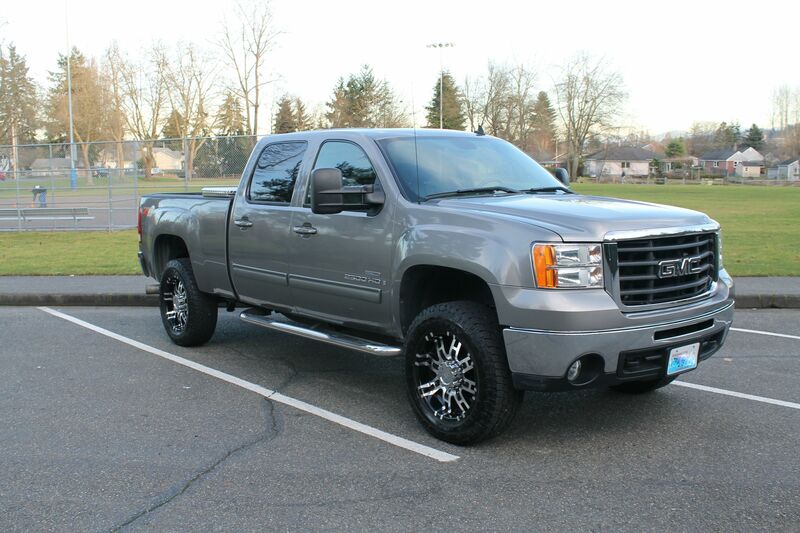 This is exactly what i'm looking for (or GMC equivalent) in terms of colors and trim. Heck i'd buy this one if it had half the miles. 150k is just too much on a truck I want to keep for 10 yrs or more. ok, I am just sharing some of the stuff I find. Well guys... found my next truck. It ended up being the one in WI I shared above. I have a bit of a story to tell with this... one that still leaves me just a little speechless. So obviously in the ad, it looked like a really nice clean truck, but I was concerned about rust and general mechanical condition, and also that it was so far away and having to fly was unrealistic given the distance from any airports (and cost). 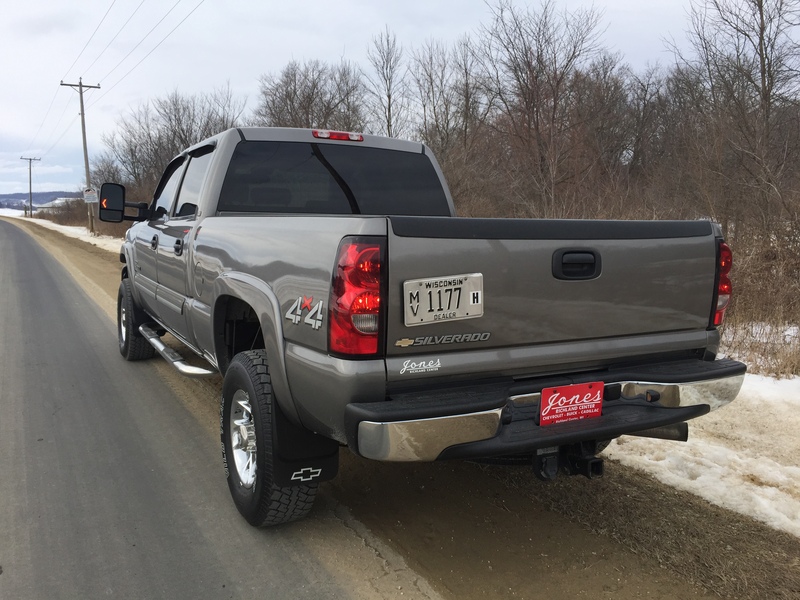 So I looked to the various duramax forums, and found somebody who actually lives in the town where the dealership is located. Her name is Heather Powell, and she's the co-owner of Dan's Diesel Performance in WI, and is a competitive sled puller and Duramax builder. On a prayer, I emailed her to see if she'd be at all willing to go look at it for me. What happened next is truly a blessing. Not only was she willing, she just took it and ran with it. She went and looked at it, drove it, sent me detailed pics and observations, as well as videos, inspected every square inch of the truck. Rolled around underneath to get a good look at everything too. Said the front end was tight and steering didn't have any play. No leaks, save a drain plug gasket. 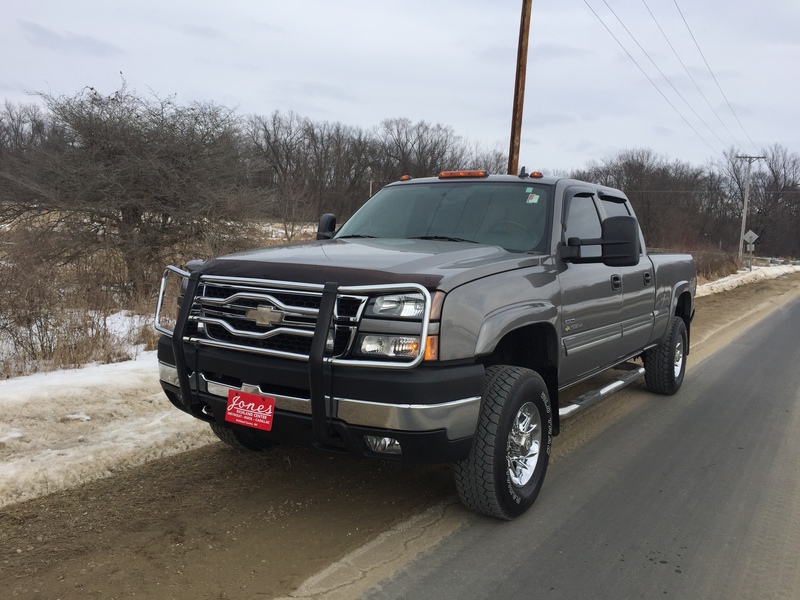 Found that there was virtually no rust, rockers and corners were good, and validated the dealer claims that the truck was babied and garaged, and gave a stamp of approval and endorsed it for me, from a very picky duramax builder's perspective no less! She also purchases all her trucks through the same dealer, and her uncle is the lead service tech at the dealership. All she asked in return was that pay it forward and help somebody else out if ever asked, which i most certainly will. I think we've arrived at a fair price, and am just working out some details on an extended warranty now. I put a deposit down, and next steps are going to be executing a deal and arranging shipping. Hopefully if all goes as planned, i'll be starting my own "build" thread soon... though admittedly it will be much more of a "build lite" compared to the status quo around here ;D Maybe we'll call it a quick fluid check instead of the usual "oil change"! 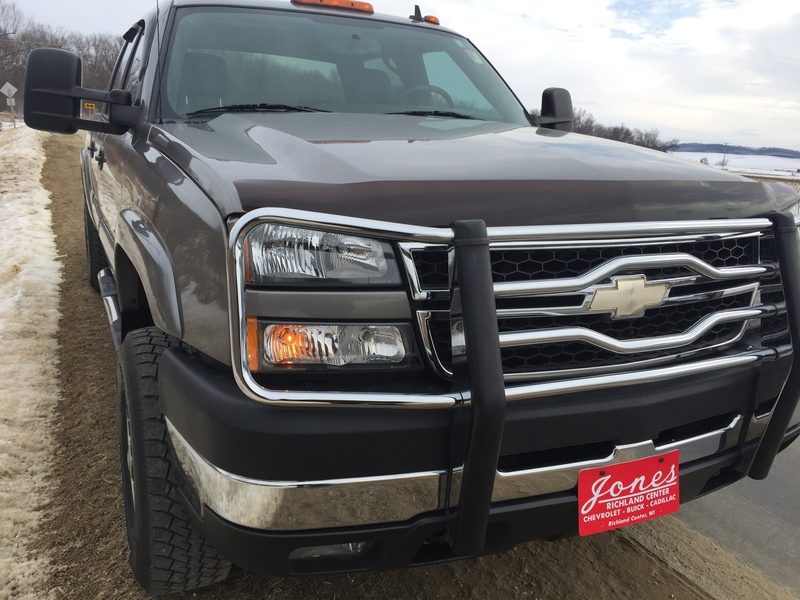 First mod will be ditching that brush guard! That lady is a real sweetheart! Yeah, I was blown away by her generosity. I hope it all goes smoothly. Never bought a vehicle like this, so i'm a little nervous! I do too, it's exactly what I wanted. I can't wait to get it here. Have a nice little parts wish list going here already! Great to hear stories like this. That truck looks really nice. Makes me jealous as it reminds me of the one I had, pictures below. Mine had 60k miles when I finally had to sell it. (and I have regretted selling it ever since because I will never find another with that low of mileage and completely stock). But it was necessary, we needed the space of a suburban for the family. Though looking back on it, I definitely got the raw end of the deal. 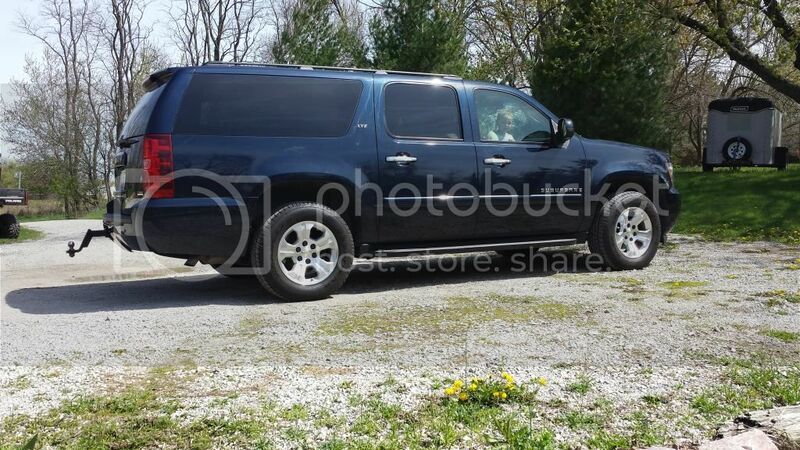 Sold the truck for $26K and paid $20k for a suburban for my wife to drive. That left me $6k to find another truck. So I am back to a 2002 2500HD ECSB with a 6.0L gasser and 2wd. As you can see, the wifey won this time around.... But I did swap the factory 20" wheels for some 18's so she won't damage them on curbs and potholes. Awe man that was a nice lookin truck. Nice burb though too, and as they say... happy wife, happy life! 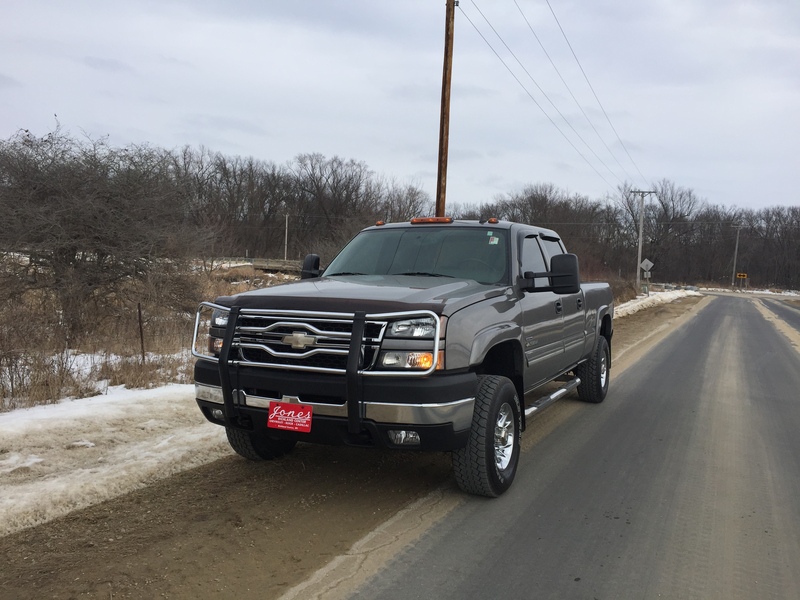 06 LBZ with 80k on the ticker. Excellent condition, balance rates good, no sign of HG failure. Can buy an extended warranty that covers injectors, trans, HG, cp3, wheel bearings, most other power train components for 3 yrs 30k miles for 2500$ and 100$ deductible. It's an Allstate plan. Worth it or waste of money? Extended warranty - Everyone will have their opinions, but I have never been able to justify buying one myself. I have heard too many stories of fighting with the company to actually get the work paid for when needed. I will typically instead take the $2500 that you mention and put it in a special savings account. That way I have it ready to go if needed for common repairs. Especially since I would typically try to do the repair work myself anyway. If you do that over several vehicles, you could save up a lot of money. I like to gamble that only one of my 3 vehicles would likely have a large failure. Plus, if you never need it, roll it over to the next truck. If I ever have a large repair (complete engine or trans), my opinion may change at that point. Check with your credit union or bank loan dept. they are usually much less cost than a dealer. I have bought extended warranty on my 11 as everything costs more than what the 7 year plan cost. First time I have bought one, but sleep a bit better knowing the problems these things have. Well, as of about 15 mins ago, the LBZ is mine. Granted, it's currently 1900 miles away, but i found a guy that's going to transport it out here for me for a fair price. Christian guy too, small business owner, happy to do business with folks like that. Should be here in a week. Bob i took your advice, and did end up getting a much better deal on an extended warranty through my CU. 3yrs 36k miles, covers all the big stuff... they confirmed it covers the injectors too, which was a requirement for me. Anyway, super excited to get it here and put my own eyes on it.